Tadasana is a simple standing asana, which forms the basis for all the standing asanas. … It is a good asana for cultivating stillness, strength and a sense of relaxed power. But few students and even teachers TRULY understand the how’s, what’s and where’s of this pose. Tadasana is not just about yoga, this is your body’s blue print for everyday life. 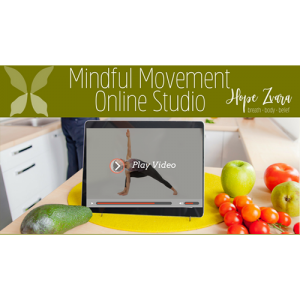 Join Hope as she debunks the bad habits of modern posture and shows you step by step from your feet to your head EXACTLY where your body should be and why. Because once you truly set a foundation, every other posture and movement just makes so much more sense. Learn how Tadasana is more than just standing tall at the top of your mat.